Leading supplier of logistics automation, logistics IT, and materials handling and storage systems, Dematic was recently awarded the Intermec Synergy Partner of the Year Award at Intermec’s APAC Partner conference in Hanoi. Dematic Real Time Logistics received the honour for synergies delivered by the company to the materials handling industry while rolling out voice and RF projects throughout Asia Pacific. 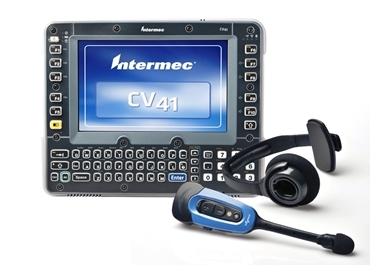 Following the acquisition of Vocollect by Intermec, Dematic has partnered with both brands to offer a range of solutions from wireless LAN, voice, and mobile computing through to printers. The award was accepted by Nishan Wijemanne, Dematic’s Sales Manager for Real Time Logistics, who commented that the 2013 Intermec Synergy Partner of the Year Award reflected the benefits of working with a partner such as Dematic. He explained that working with a single integrator such as Dematic who has the expertise and technical capability, hand-in-hand with significant service and support infrastructure, is a real plus for organisations juggling disparate logistics IT needs, often across multiple sites.